JK clear turn signals at JustforJeeps.com are sold as a pair. 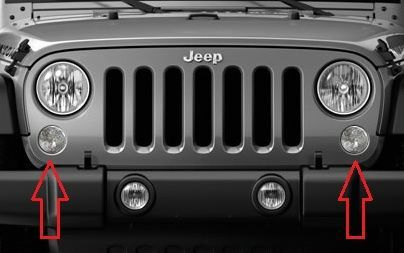 These Mopar factory clear turn signal lamps are for installation on 2007-2018 JK Wranglers. The driver side turn signals are item number 68200291AA and the passenger side turn signal is item number 68200290AA. If you have questions about these replacement turn signals, you can use our Q&A tab to submit your question to us. Lamps are sold as a pair.